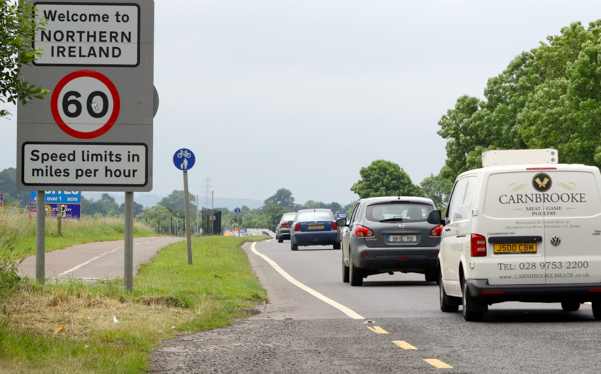 The Backbencher – Is the Government Deluded on Ireland Border? Yesterday the Government released its position paper regarding the issue of Ireland UK relations and the Northern Ireland border. The Government outlined four aims it intended to take into the negotiation: upholding the Belfast agreement; maintaining the Common Travel Area and all associated rights; avoiding a hard border for the movement of goods and; aiming to preserve North-South and East-West cooperation, including on energy. The first part of the position paper deals with the Belfast agreement. The Government states that is committed that no part of the Belfast agreement should change in any substantive way. The Government also says full regard should be given to Irish Citizens still having the rights of EU Citizens. In the dialogue option one, there already comes an almost impossible situation. As the position paper states that the people of Northern Ireland have the right to ‘identify themselves or be accepted as British or Irish or both as they may so choose; to equal treatment irrespective of their choice; and to uphold both British and Irish citizenship.’ This would make it possible for Northern Irish citizens to have both British and Irish citizenships and British and EU rights and most importantly continue that arrangement going forward. This would create one group of people who have extra legal rights in opposition to all others involved in the negotiations. Furthermore, how will the EU rights of those who hold Irish Citizenship be upheld? Will those people in Northern Ireland be able to gain recourse from the ECJ? What happens if UK courts and EU courts come to a different ruling on the case of an Irish citizen? The position paper does little to answer these practical, and yet difficult questions. The Government also recognises the work of the PEACE funding programme, a joint venture between the Irish National Executive, the Irish Government, and the European Commission through the European Regional Development Fund (EDRF). The UK Government want the current programme PEACE IV to continue as planned regardless of the content of other negotiations until its completion in 2020. On top of this the UK Government outlines its intentions to look at further programmes into the future. It raises the question, if such schemes are such a success, and that the Government would like them to continue, why endanger them in such complex negotiations? How will the UK Government justify to those who want to server ties with the European Commission that it looks to continue to supply funding to projects either directly, or indirectly through the National Executive? Alternatively, how will it justify to those who wanted to remain that Northern Ireland may get a special status and still receive EDRF funding unlike other regions who may need it? A particularly difficult sell in Scotland it is to be imagined. These problems come without even referencing the fact the position paper does nothing to address the ECHR being a major part of the Belfast Agreement as it provides equal rights for all citizens with unbiased arbitration. Whilst it is true to say the ECHR is not the EU, Irish citizens will still have access to this mechanism and therefore this will cause Irish Citizens to have a higher legal standing if the Government leaves the ECHR as it has previously committed to. This gives the UK Government a number of options: stay in the ECHR; allow some of its citizens both Irish and Northern Irish to access the ECHR; or remove from the ECHR. Option one will look politically weak, as the UK Government will still be subject to the rulings of a European Court. Option three would destabilise the peace agreement. Option two is a fudge which would again provide people in Northern Ireland an elevated legal status. The position paper rightly, again, points out the neither the UK or Ireland are members of the Schengen Agreement and, as such, retain border checks. Yet it continues to try and separate Irish citizens and other EEA citizens. While this may be a distinction the UK can choose to make following Brexit, Irish law and European will not change. Those who have been through border checks through internal EEA travel know that this only currently requires the showing of a valid passport. Therefore, Ireland will not stop the rights of those within the EU moving and working within Ireland as Ireland’s policy on immigration is no longer a discrete entity as it was when the CTA was first conceived. This means that EEA citizens within Ireland will be able to access the UK, particularly Northern Ireland without any checks within the current Government framework. Again, how will the UK Government be able to justify a border over which it does not control immigration to those who favour Brexit? How will it justify to those who wish to remain members of the EU that, especially for dual Irish and UK citizens, that it will not be removing the right of free movement for all? The position paper begins to set out more detail for the potential of trade across the UK and EU border. The UK Government has reaffirmed its commitment that there should be no hard border, going as far to say there should be no requirement for product standards checks and intellectual property rights at the border. Those who were seeking to be free of the Single Market and the Customs Union perhaps should look away now. The position paper suggests that the UK should continue some of its current EU agreements in order to make the border as frictionless as possible. Which these particular agreements are is not mentioned, however that leaves scope for the Government to continue on with most agreements and enter into an ‘interim period’ over close customs arrangements. Any new arrangements would seek to remove barriers to trade, which seems a pretty familiar concept within the Single Market. Furthermore, another suggestion is that the UK would put in place a customs approach that would remove the need for a border between the EU and the UK. Again very similar to the situation the UK is in now. The situation it just voted to leave. Looking further into the proposed detail, some of the UK Governments suggestions include removing checks for small and medium size businesses, no duty on items of personal use, using electronic checks and processes, and mirroring customs arrangements for good whose final destination is the EU. All these throw up so many practical problems, too many to clear in just one piece in detail. Some include: legally defining the difference between small and large business and entities, legally defining what constitutes personal use, making sure goods go where they are intended to, electronic systems working correctly, and probably most symbolically, mirroring the customs of the EU even following our commitment to control over our own trade. These will continue to be politically sensitive negotiations, and the UK Government seeks to publish its aims without providing any significant detail. It is true, however, if you do not publish your aims no one can know whether you have failed. So in that sense it is a politically astute move. It seems clear the UK Government is continuing its strategy of ‘having its cake and eating it’ by refusing to take into account that Ireland is no longer a distinct legal and political entity. One of the main reasons for a leave vote was the recognition that the UK should regain control. If the UK did not have control within the EU, how can Ireland be expected to continue to deal bilaterally with the UK?